Trying to get rid of that double chin? This head piece will not do it sadly. the mask of the Great Auk sits on top of the head like a hat leaving your chin exposed. You’re performance requires the great auk? Well, you’re audience will be looking at this bird mask then. The Great Auk is the main character in the self-titled play. Although it can’t fly, you will soar under it’s wisdom. 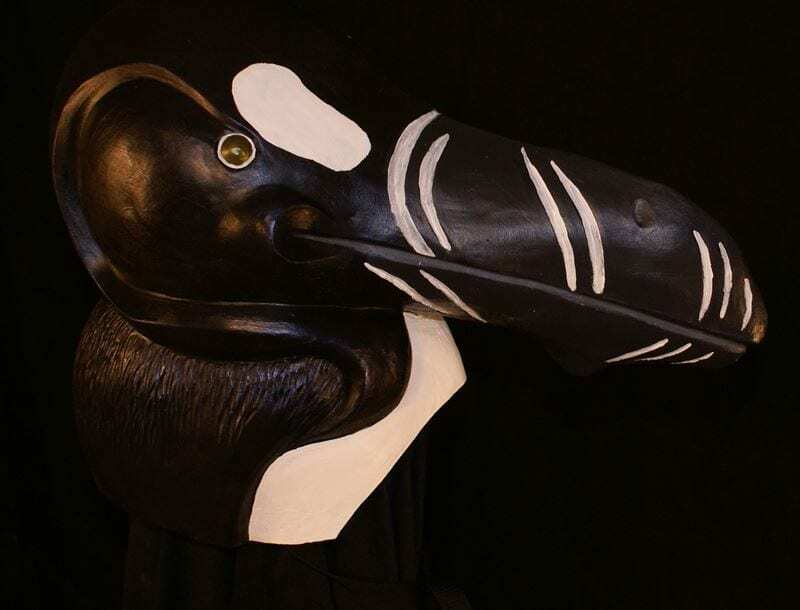 This fowl sadly no longer walks the Earth, its spirit lives on through stories and custom made masks like the one pictured, sticking it’s large beak into people’s carts and pocketbooks. Order your very own custom animal mask of an extinct beauty you’d like to preserve, or welcome this bird into your nest. 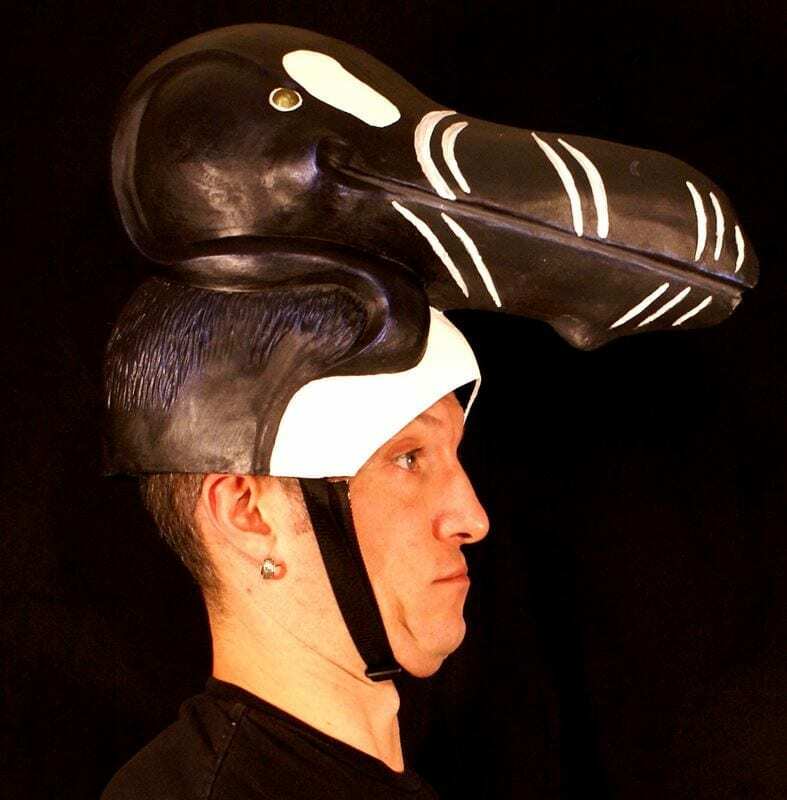 Made by mask maker Jonathan Becker this headpiece is a great addition to any show… that needs an Auk….